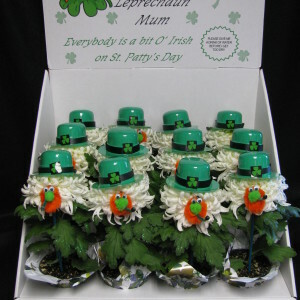 Get a little bit of Irish luck with our Leprechaun mums! 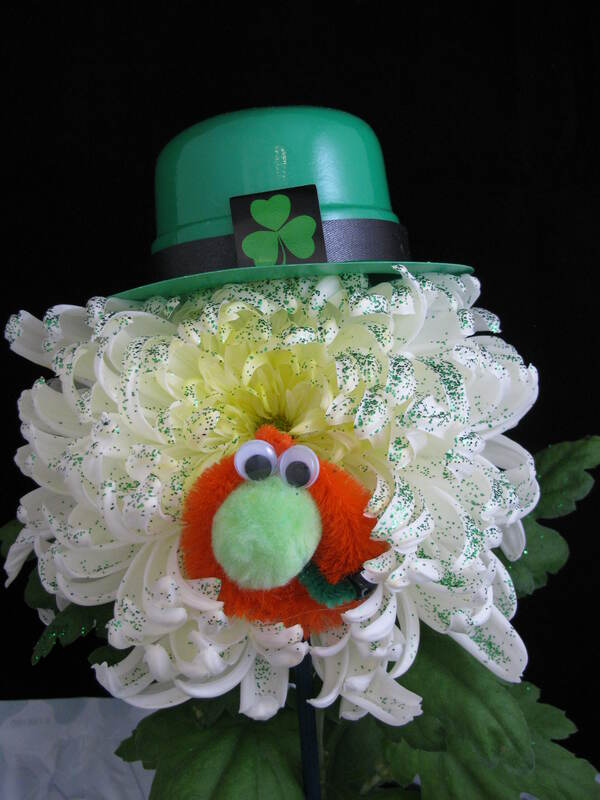 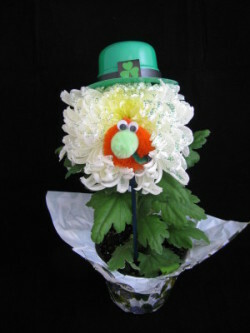 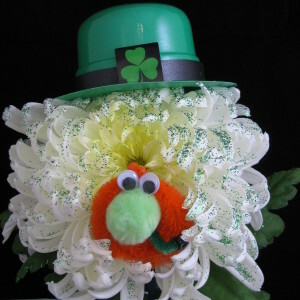 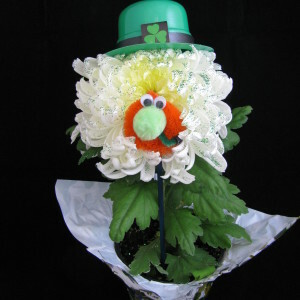 The Leprechaun mum is a 4.5″ white football mum dressed with hand-crafted leprechaun decorations. 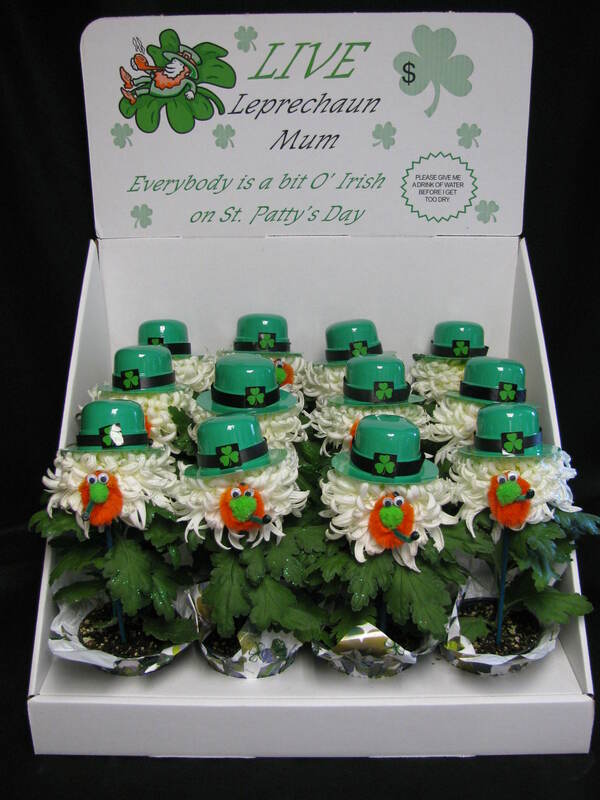 Individually wrapped in pot covers, they come packed 12 per display case.